Turn Your Current Berry Into a Storm (sort of) Today!! If you are anything like me you are waiting to get your hands on a BlackBerry Storm. 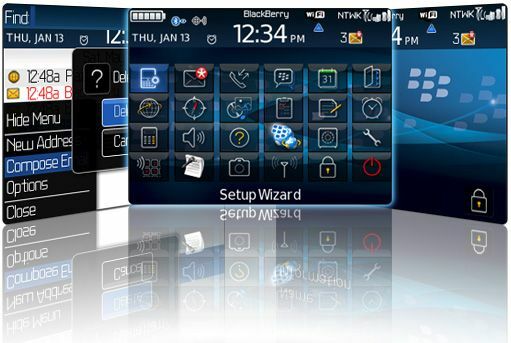 We have all seen great pictures and videos of RIM's first touchscreen BlackBerry and what it promises to do. Good news - the wait is over (sort of)!!! 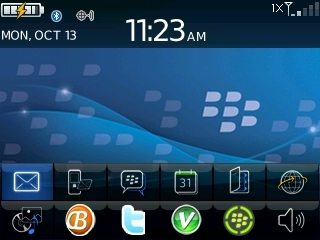 The folks over at Themes4BB have come up with an awesome Storm theme for your Curve and Pearl (All models). The theme is 100% custimizable so you can set your icons to what ever you like on your home screen. Take a better look after the jump! The theme is very clean, crisp and user-friendly. 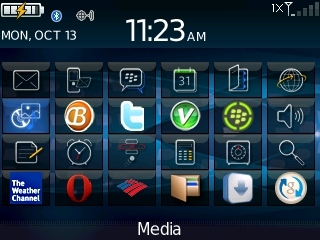 The only small 'issue' is that because the current BlackBerry's have smaller screens than the Storm it doesnt leave much space for a user-made wallpaper to shine through. I love how when you scroll over a icon it almost looks like its being 'clicked' just like on the Storm. This theme does cost $6.99 but over all I give this theme a 9 out of 10 and is worth EVERY penny! !